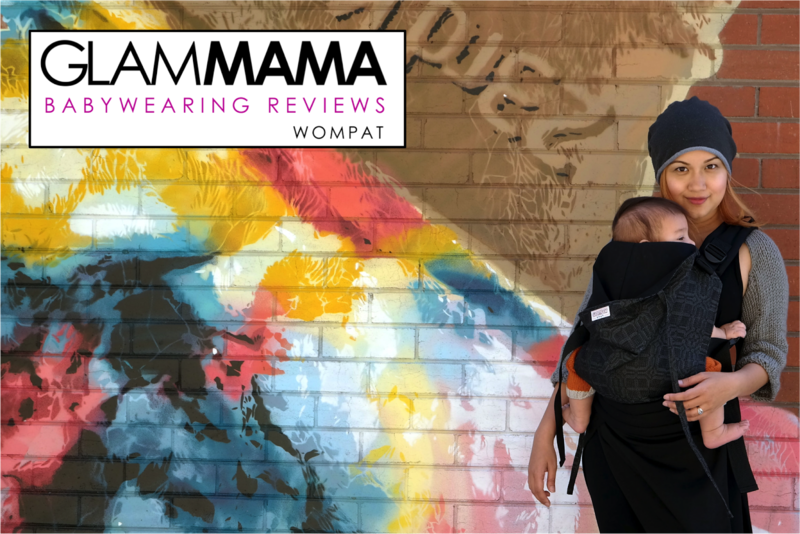 Babywearing Review: Liinalapsi-Wearababy Wompat - READ ON FOR GIVEAWAY INFO! 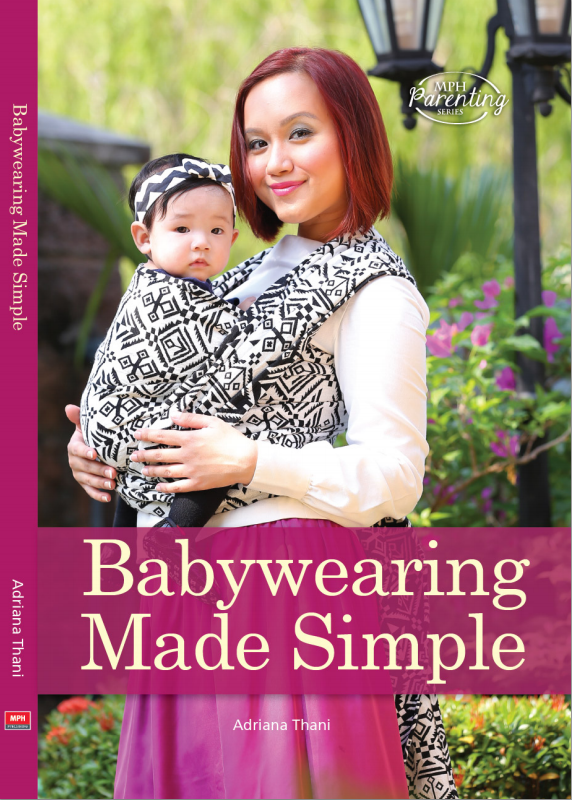 Size: Baby Size, to fit babies aged 0 to 18 months. 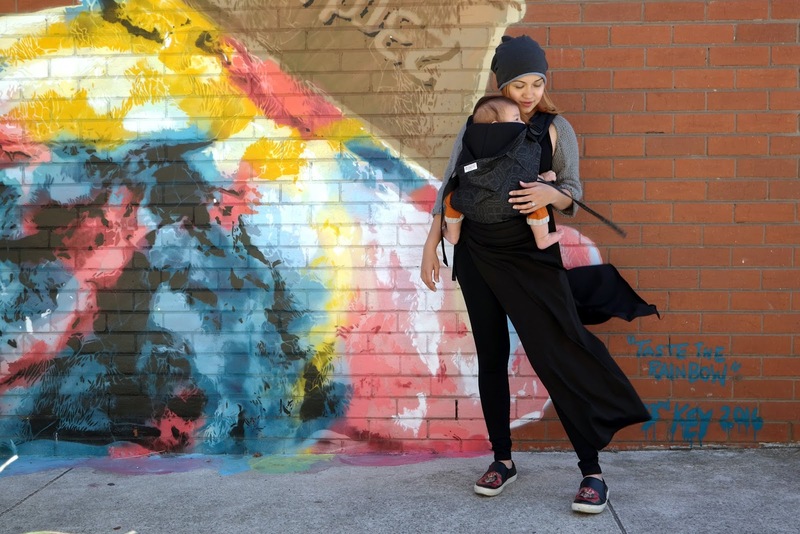 The Wompat carrier by Liinalapsi-Wearababy needs no introduction. But I'll introduce them anyway. 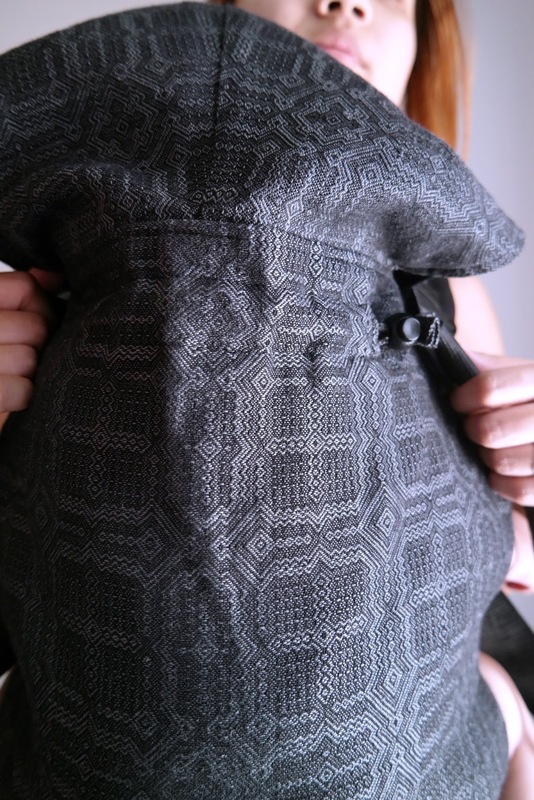 Liinalapsi-Wearababy is based in Finland, and in fact I have already reviewed one of their products before (read that review HERE). 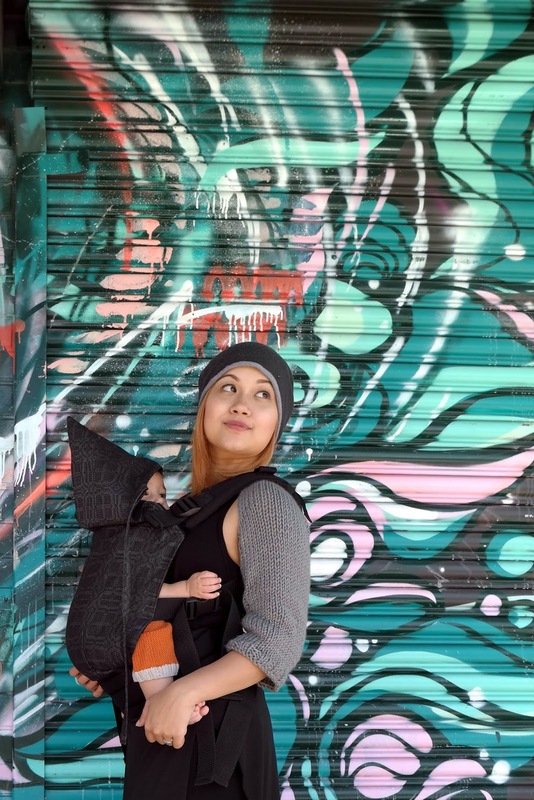 The Wompat is a soft-structured carrier (also knowns as SSC or full-buckle carrier) coveted by many of my babywearer friends not only due to its aesthetically pleasing designs, but also the fact that you can custom-make your own Wompat using your own fabrics! That being said, do take a look at their amazing in-stock designs first, because there are some incredible options there. 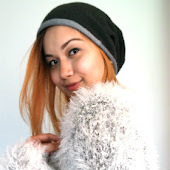 Apart from the amazing selection of fabrics, one of the first things that attracted me to the Wompat is that ridiculously adorable pixie hood! How CUTE does Adam look here, seriously? The second thing is, of course, the gorgeous fabric of this particular Wompat. The linen blend Kide Inari is a wrap that I've been eyeing for a while, so I was overjoyed to be able to try it in Wompat form. The grey and black are (obviously) my colors, and the sheen makes it look ever so handsome. 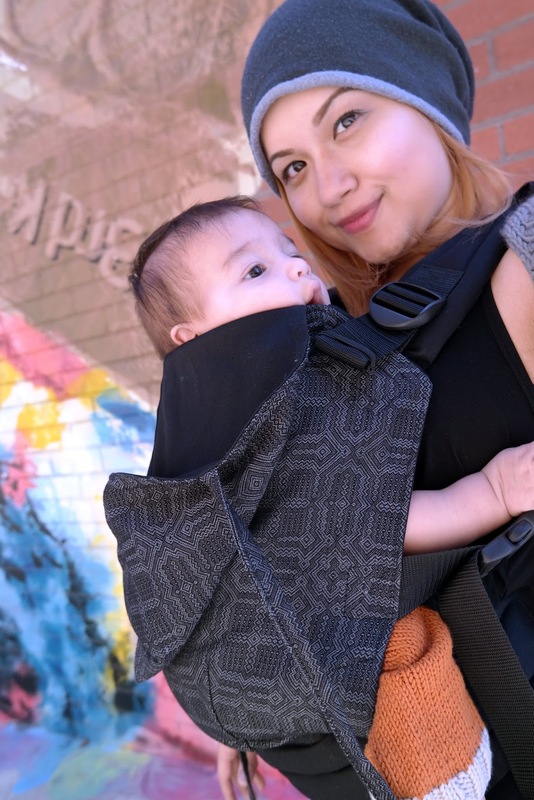 Paired perfectly with the black cotton on the straps and waistband, this is a carrier that can go with everything. In fact, I actually think it'll elevate any outfit you put on. A unique feature on the Wompat is the strap that goes across the top of the body panel that allows you to decrease the width of that area. Pair that with the PFAs (perfect fit adjusters) at the top of the shoulder straps, and this carrier stayed put on my narrow, sloping shoulders. 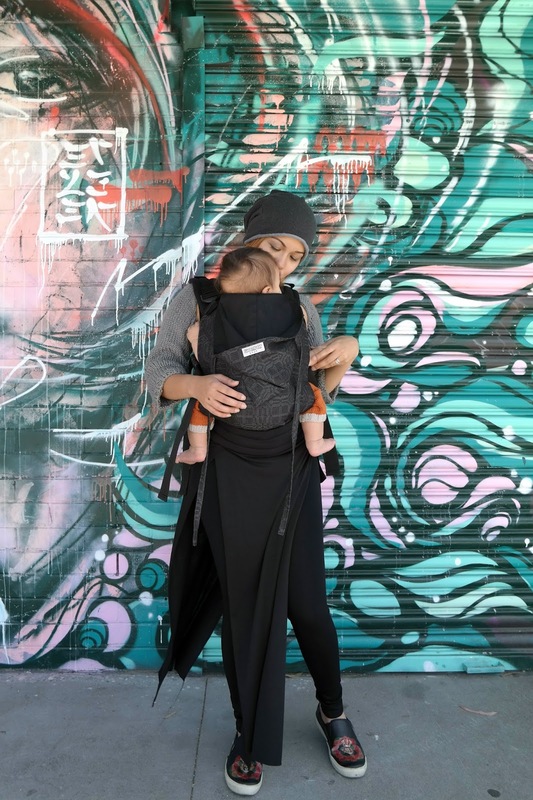 I have to say this is a great feature for petite mamas with a similar build. Something that bothered me was that while the PFAs and waist strap have elastics to hold the rolled up ends, the shoulder straps did not. This is mostly an aesthetic thing, because I prefer to not have dangling straps, but it's also a little annoying when they flip around everywhere while I go about my daily activities. 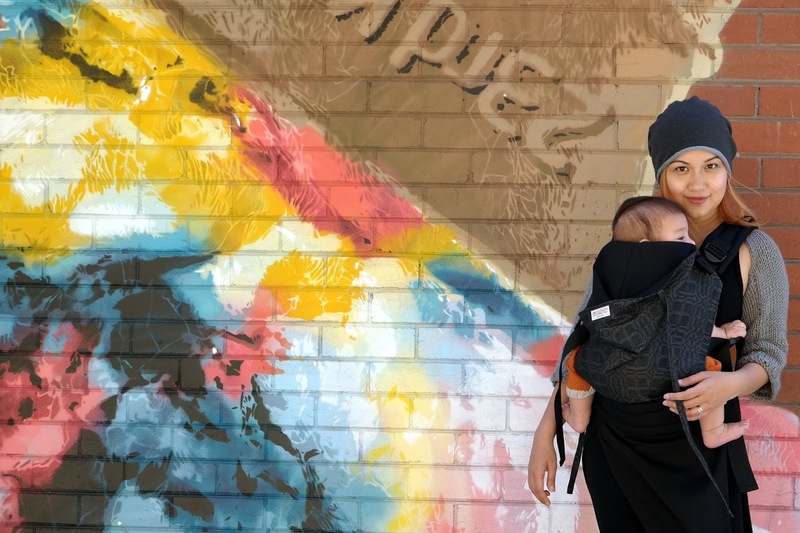 On the positive side though, the dual-adjusting shoulder straps were easy to tighten and loosen, which made breastfeeding a breeze in the Wompat! The waistband isn't too wide or overwhelming at 10cm, which I personally liked, and is in fact narrower than my Ergo and MGG carriers. It is also quite soft, which is another plus in my book! It's also different from my other SSCs in that it's sewn in such a way that it almost looks "quilted". This allows it to mould really well around my curves (and there are many curves in that area, lol). This carrier is brand new, so the linen content means it is yet to be broken in, but already it hugs Adam pretty well. Once fully broken in, I expect that it it'll be buttery soft while also providing great support (which it already does, since I have worn this for hours with no soreness whatsoever!). Adam's just the right size for this at around 6 months old, with many months of wear left. But Wearababy have just launched their new attachable leg extensions which means that he can wear it for even longer than that! (Click HERE to see all the available Wompat accessories). But we're going to have to get our own Wompat to experience that, because guess what? This one could be yours! That's right - this beauty is going to be given away to a lucky babywearer. Just go to The Diaries Of A Glam Mama FB page to join the giveaway. Good luck! For more information about the Wompat carrier, visit the Liinalapsi-Wearababy website HERE.